Senkaku Island issue spread to the public in 2010 when Chinese ship attacked Japanese ship in Japanse marine territory on September 7th. In East Asia, territorial problems often occur between many countreis and one of them is the Senkaku Island issue between Japan and China which I am going to focus on this homepage. 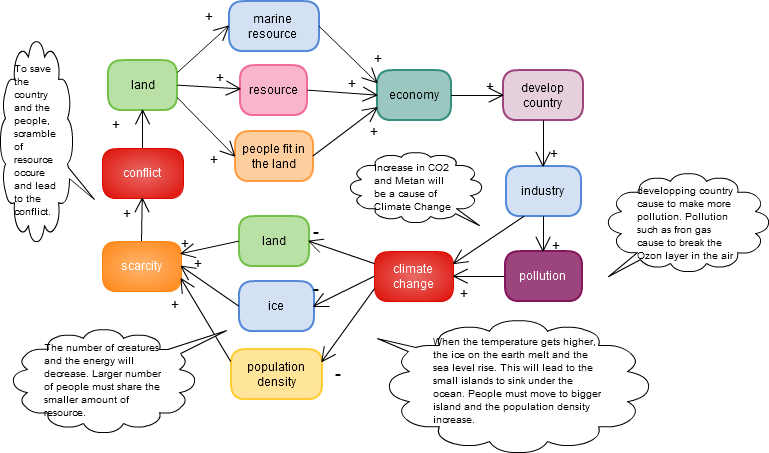 The resource scarcity in both China and Japan is the main reason that led to the Senkaku Island issue. It is hard to solve this issue because it happened in 2010 with a historical cause and extreme tension between the two countries(China and Japan). It is important to know about this Senkaku Island issue because it might create a conflict between China and Japan, or become a huge war with other political parties. In 2010, Chinese GDP per capita caught up Japanese GDP and now China ranks as the world's second largest economic country following the United States. Japanese economic growth has stopped for about 30 years while Chinese economy has grown rapidly after 1980. After the Lehman shock in 2008, almost all countries in the world faced the economic crisis except China. China recovered from the world's serious economic damage and even elevated its economy at that time. It sounds like China is having such a happy time in the world. However, China is now facing two problems inside of the country. One is the huge population growth and the other is the scarcity of the water. What is the problem China is facing? Due to the rapid economic growth in the country, many industries were built. 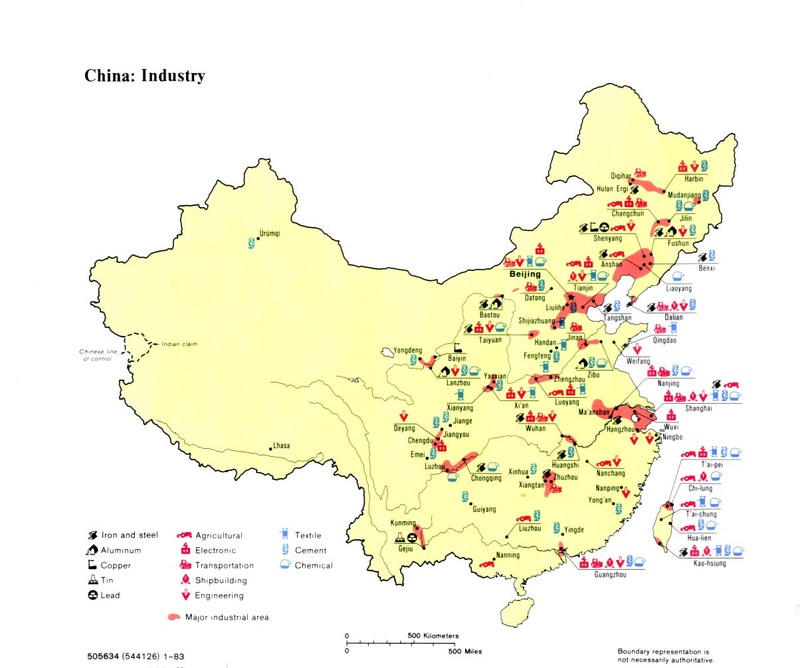 As the map shows, the factories are located near the coastal area. These factories pollute the air and water in China. China is now facing a severe water scarcity. The amount of water they have is not enough for the huge population. Also, the pollution from the industries reduced the amount of deinkable water in the country. China is using 87,000,000,000 dollars for the environmental projects now. The amount of Chinese water resource per person is one forth of world's one. China is buying water from other countreis such as Japan. China also importing eco system from Japan to get the fresh water. More human resources, space and energy resources are needed to make a country more developed. often, trees are cut down to create more space and to make more room for people to live in and also to create more industries. The elimination of forest lands leads to hte extinction of many animal soecies. The plantations and variety of food available also has reduced in the country. China has the largest population in the world. With this large population, China has succeeded with manyfacturing. However, China is now facing the scarcity of energy due to the large population and the huge number of industries which are necessary for citizens' daily life and the economic growth. What is the problem Japan is facing? Japanese economic growth has almost ceased for 30 years. The economic growth from 2000 to 2010 is only 1% and this number is the worst number in G7. There are several possibile reasons to explain the situation. One of the main reasons of it is the amount of energy available in Japan. The map on the right is showing the area where the natural resources are found in China and Japan. The amount of resources in Japan is tiny and Japan is relying on imports from other countries such as Australia, Saudi Arabia, and Iran. However, the importing of resources to create products has led to expensive products in Japan in comparison with those of other countries wherein internal resources are available. Scarciry of resources also caused Japan to claim their position at the Senkaku Issue problem in 2010 China did an economic sanction against Japan by ceasing rare-metal exports to Japan. What do both China and Japan need? Now both countries need more energy to maintain their economy and domestic development. At this point, both countries are facing the scarcity of energy and resources. To get our of the scarcity of the resource issue, both China and Japan are focusing on African countries to recieve and utilize more resources. Two countries are supporting African countries by giving them money and in return, they are trying to get the resources. However, China is allowing African countries to use the monetaryfund for anything they need. On the other hand, Japan is not allowing African countries to spend the monetary fund for military use. China has a larger power in South Africa compare to Japan. Although both japan and China get some resources from Africa, this continent(Africa) is rather far away from east Asia. Transportation costs and on and the countries would prefer to get resources from nearby places. Therefore, both China and Japan are focusing on Senkaku Island and the hidden resources underneath. Why Senkaku Island issue is hard to solve? It is hard to tell which country Senkaku Island belongs to. This perplexity is because in historic times, there were no specific laws describing the decision-making process of a land owner or even that of private property in Senkaku Island. Both China and Japan are claiming that the other country's decision-making process to acquire Senkaku Island is flawed. At the time when both countries decided that Senkaku Island belongs to each of them respectively, international law did not exist. Chinese government claims that Senkaku Island belongs to China because Senkaku Island was mentioned in various Chinese old poems. They are the first one who found the island. They believe Senkaku Island belonged to China at that time and Japan took the Island from China later. The other resaon why Senkaku Island issue is hard to solve is due to the historical background. Many Chinese have anti-Japanese sentiments as a result of previous wars and tension. It is hard to change the public opinion which is already inbuilt with hatred towards each other. 1955 Because Senkaku Island has a rich marine resources, Taiwan ships came inside of japanese territory and attacked Japanese ship called Daisanseitokumaru. Two people died and four people are missing who was on Daisanseitokumaru. 1968 With the seabed research, it was fount the East China Sea might have oil underneath. 1969 to 1970 United Nation did the seabed research and found there are about the same amount of resource as Iraq under around the Senkaku Island area. 1971 Feb Chinese who lived in the United States started anti-Japanese demonstration. They claimed that Chinese knew about the existence of Senkaku Island before Japan did. China started seabed research around Senkaku Island. Taiwan activists trespassed many times. Taiwan government forbided those activists to trespass Japanese area. 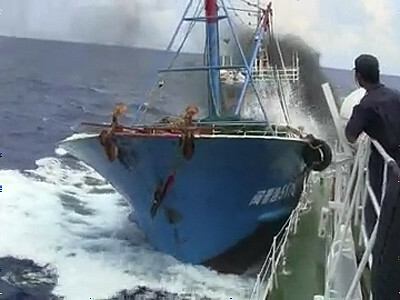 2010 Sep. 7 Chinese fishing boat operated near Senkaku Island so that Japan coast Guard council the fishing boat to stop. Chinese fishing boat ran away and at that time, they attacked Japanese patrol boat. Japan Coast Guard arrested Chinese captain of the ship. 2010 Sep. 18 Four cities in China had anti-Japan demonstrations. 2010 Sep. 23 Hilary Clinton and Seizi Maehara the Minister of Japanese Foreign Affairs had a meeting. At that time, Hilary said the United Stated gave Senkaku Island back to Japan when they returned Okinawa to Japan. 2010 Sep. 24 Japanese government released Chinese captain of the ship. Chinese government asked Japanese government an apology and compensation. Japanese Prime Minister Naoto Kan denied it. 2010 Nov. 4 The video the member of Japan Coast Guard took when Chinse boat attacked Japanese patrol boat flew out through YouTube. Since then, many Taiwan boats and Chinese boats invade Japanese territory. 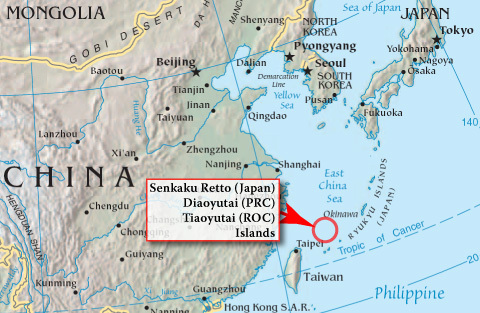 Senkaku Island is where Chinese boatd(used for fishing) attacked Japanese patrol ship. After the Senkaku Island issue in 2010 happened, some Japanese who worked in China felt hurt by the Chinese behavior and course of actions. China; China is a country with an area of 9,596,960? and it ranks as the third biggest in the world. The population is 1,330,141, 295 which is the largest in the world. 94% of the population is han Chinese and there are 55 tribes such as Uyghur, Mongolian, Tibetan, and so on which are a part of China. 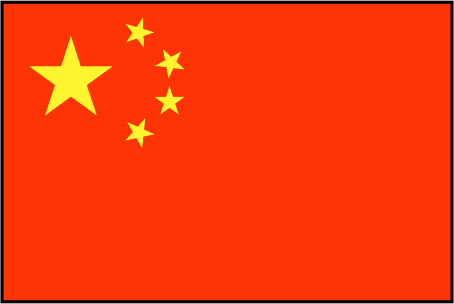 China has a 20% of world's population but they only have 7% of the water in the world. China is a communist country. It has one branch of government which has all the power. 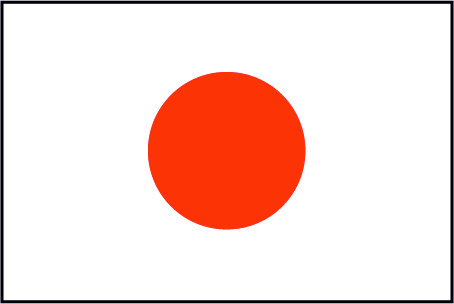 Japan; Japan is a country located next to China and bridged by an ocean. The area is tiny compared to China but the population density is huge. Japanese population density is 336 per ? while that of China is 140 per ?	. After the World War?, Japan promised to not have military other than self-defense forces based by law. to improve one's economy, labor force and resources are needed. To make more space for humans to live in and to create new things, trees are cut and deforestation is a problem. This leads to species loss and scarcity of their food. Industries create pollution and this also leads to negative outcomes. China is now facing two types of conflict which are dominant and international. Chinese citizens, especially people living in the poverty-stricken areas, are in a danger of hunger and starvation. The gap between the rich and poor is massive in China and it is only increasing. To fight for equality and social justice, many domestic conflicts have taken over China. However, Senkaku Island issue falls under the international conflict category because this is an issue between China and Japan. Both China and Japan wat the energy resources in Senkaku Island and also the marine products that surround the Senkaku Island. To achieve development and also to feed everyone in the country, more energy resources are needed. Resource Access is the main reason of the Senkaku Island issue. All actors China, Japan, and the United States are great trading parters for each other. They know how each country can affect the other one's economy severely. From this reason, they try not to fight with each other. If China attacks Japan, then the United States might have to get involved in defending Japan but before that, it is certain that the United states would precent any conflicts. Alden, Chris, and Daniel Large. China Retuens to Africa: A Rising Power and a Continent Embrace. New York: Colombia Univeristy Press, 2008. Print. Batson, Andrew, Daisuke Wakabayashi, and Mark Whitehouse. "China Output Tops Japan." Wall Streed Journal (2010): n. pag. Web. 28 Jun 2011. 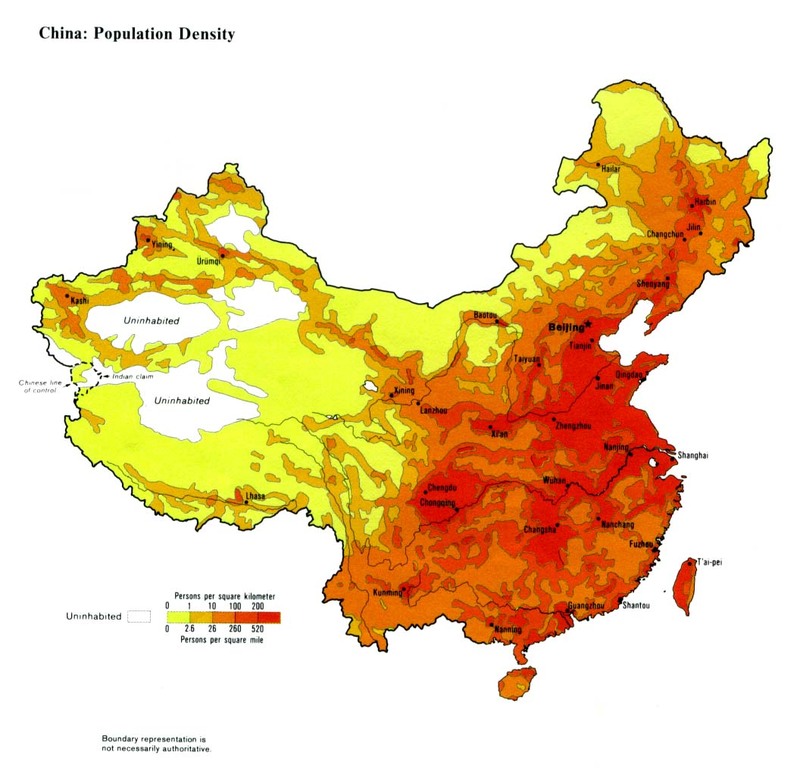 Brown, Lester R. "Worsening Water Shortages Threaten China's Food Security." Earth Policy Institute. Earth Policy Institute, 04 Oct 2001. Web. 5 Jul 2011. "China- Industry." Perry-castaneda Library Map collection. Web. 30 Jun 2011. Cropper, Maureen, and Charles Griffiths. "The Interaction of Population Growth and Environmental Quality." American Economic Review 84.2 (1994): 250. Web. 28 Jun 2011. "East Asia Map." Jacob Leib Cohen. Web. 30 Jun 2011. "Global Oil Production-Forecast Ranges." China Property Investing. Web. 28 Jun 2011. Infoplease, . "China." Infoplease. Person Education, n.d. Web. 3 Jul 2011. Infoplease, . "Japan." Infoplease. Person Education, n.d. Web. 3 Jul 2011. Ministry of Foreign Affairs of Japan, . Japan. Japanese Fishery. Tokyo: , 2011. Web. 28 Jun 2011. "Population." China Property Investing. Web. 28 Jun 2011. "Projected GDP." China Property Investing. Web. 28 Jun 2011. Smil, Vaclav. "Environmental Problems In China: Estimates of Economic Costs." Scholar Space University of Hawaii at Manoa (1996): n. pag. Web. 28 Jun 2011. United Nations, . United Nations. World population Prospects. , 2008. Web. 27 Jun 2011. <http://www.un.org/esa/population/publications/wpp2008/wpp2008_text_tables.pdf>. Voss, Stephen. "Water Pollution in China." Stephen Voss Photography. Stephen Voss, n.d. Web. 6 Jul 2011. World Bank, . The World Bank. GGP, PPP(current international $). , 2010. Web. 28 Jun 2011. <http://search.worldbank.org/data?qterm=gdp&language=EN>.